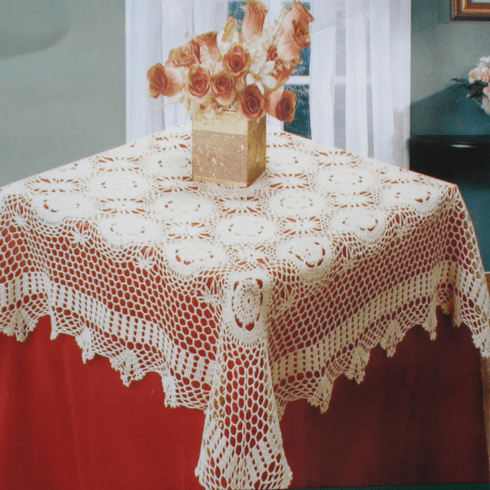 Handmade 100% cotton crochet table clothes, table topper, table scarf, table runner, dolly or placemats. Multiple sizes, beige / off-white, and white color available. Care: Machine wash warm water, gentle cycle. No bleach, line or tumble try. Iron on reverse side. Notes: Actual design in package may vary from design shown.